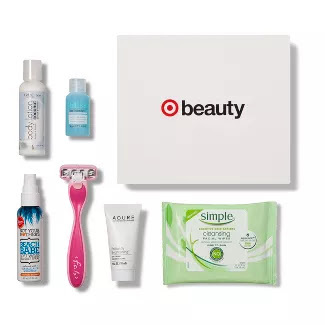 Target has their August beauty boxes available now. Get one for $7. Free 2-day shipping is available for your orders of $35 or more. We may be heading into the final full month of summer (sigh! ), but that doesn’t mean we can’t soak up every last bit of the season. Inside this box, you’ll find a few of our faves that’ll help you hold on to your sunkissed glow and bombshell beach waves for just a little while longer.